As part of learning about the ocean, seamanship and sailing, the skippers will have the opportunity to sail on different types of boats. It will vary from year to year, it may be on Hobie Cats, Fevas, cruising boats, Melges, J105, Harbor 20 etc...This is only open to the skippers with a few chaperones. Make sure to sign-up your skipper for this opportunity. Check the calendar for the date. It is usually in the June timeframe. This year (2018), we are fortunate to be able to have SBSSA Skippers sail on Harbor 20 (see photo below). 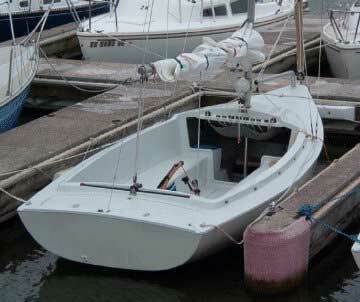 It is a great boat, even for novice skippers with very little experience. Time: 1:00 pm - 3:30 pm - If weather permits: small race outside the harbor. There will be experienced adults will all the SBSSA skippers and there may be a few spots available for parents.